Being “first” is pretty pioneering, especially when it’s been nearly 100 years in the making. Founded in 1920, the National Football League (NFL) is a professional American football league consisting of 32 teams, divided equally between the National Football Conference (NFC) and the American Football Conference (AFC). The NFL is one of the four major professional sports leagues in North America, and the highest professional level of American football in the world. Following the conclusion of the regular season, six teams from each conference (four division winners and two wild card teams) advance to the playoffs, a single-elimination tournament culminating in the Super Bowl, played between the champions of the NFC and AFC. The NFL is a tax exempt organization, registered as a nonprofit 501(c)(6) association. The NFL’s executive officer is the commissioner, who has broad authority in governing the league. Recently, the NFL has taken some public and political flogging, questioning its exemption. Last year, a petition picked up some attention on Change.org, urging Congress to have the IRS revoke 501(c)(6) eligibility for the NFL, citing that it garners approximately $10 billion in annual revenue. 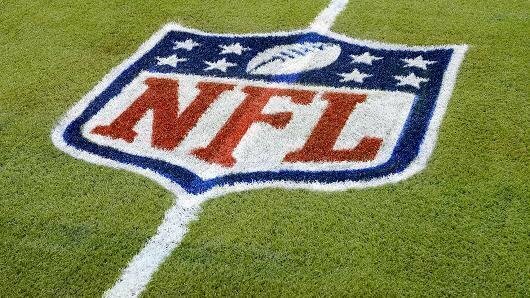 Despite the fact that it is a $10Billion/Year industry, the National Football League (NFL) continues to enjoy status as a non-profit organization — meaning it doesn’t have to pay federal corporate taxes. The Commissioner of the NFL, Roger Goodell, makes nearly $44 million a year. Last month, another petition popped up, this time from a concerned citizen in New York. Our elected officials should keep our best interests at heart, not the NFL’s lobbyists’. Other sports leagues, like the National Basketball Association and Major League Baseball, have already given up their nonprofit status, and it’s time for the NFL to follow suit. This NY legislation is our best chance to make that happen, which is why it’s so important that we show policymakers that we care about this issue right now. In January 2015, Congressmen Chavetz (R-UT) & Meadows (R-NC) co-sponsored H.R.547, the PRO Sports Act. (2) has annual gross receipts in excess of $10 million. The bill, which has no accompanying bills in the Senate yet, has been referred to 114th Congress House Ways & Means Committee. Sports leagues are pass-through agencies, which is why they qualify for the tax exemption. In 2007 Major League Baseball forfeited its 501(c)(6) tax-exempt status, freeing itself from filing the lengthy and detailed IRS Form 990. The NBA has never been tax exempt. The N.F.L., N.H.L., P.G.A. and L.G.P.A. have chosen to retain their tax exempt status. For the N.F.L., this decision is likely because of a small and idiosyncratic tax liability if the league were to transition out of 501(c)(6) status. The liability would result from a debt forgiveness policy in its previous stadium loan program – a program that reduced public financing for new stadiums. The excessive $44 million annual salary for Commissioner Goodell, however, is accurately reported. Significant revenue is earned by the team owners (not the NFL or other sports leagues) who do pay corporate taxes (sports teams are franchises). Where the NFL does rake in the money is through Super Bowl ad sales. In 2015 NBC’s going rate for a :30 spot during Super Bowl XLIX half-time was $4.5 million, up 12.5% from FOX network’s previous $4 million ad rates. That’s $150,000 per second for a commercial. That’s a good day’s work. With an expected US audience of 110 million, and more streaming the most popular ads online, it’s a price companies are willing to pay. While $9 million per minute may seem outrageous, if you break it down by viewership (ad reach), that’s roughly $41/1,000 viewers, provided 100 million Americans tune in. The industry average of $37 is slightly less. Sounds frivolous, right? Well, maybe not. Always turned a $4.5 million marketing investment into a PSA that rocked 110 million US viewers #LikeAGirl. 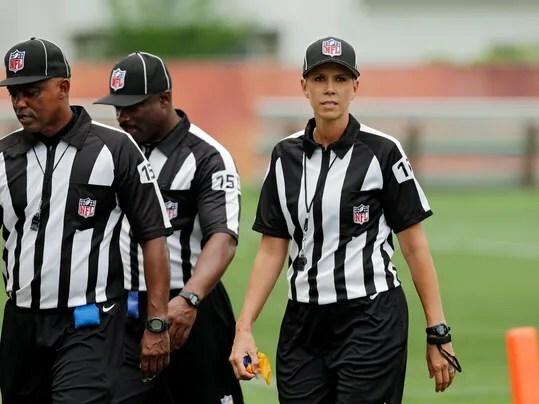 Regardless of where you stand on the sports league tax exemption debate, one thing is certain: it’s about time the NFL started to #LeanIn and officiate #LikeAGirl. Next Next post: Opinion: What Would A Hilary Clinton White House Mean for the ICC?